The Goodman Institute for Public Policy Research is doing things that are not being done by any other organization. 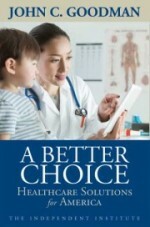 We are supplying Congress, the media and the public policy community with the very best advice the scholarly world has to offer on health reform, tax reform and entitlement reform. 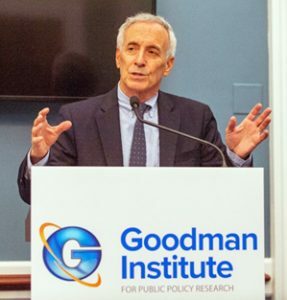 The Goodman Institute hosted a June 22 briefing on the House Republican tax plan with Boston University economist Laurence Kotlikoff in the U.S. Capitol. House Ways and Means Chairman Kevin Brady hosted a standing-room-only briefing on the House Republican tax proposal in June. Boston University economist Laurence Kotlikoff presented the findings of two new studies that provide powerful support for the “Better Way” tax reform proposed by Brady and House Speaker Paul Ryan. Their model of how international capital flows respond to country tax policies has 17 sectors and is by far the most sophisticated of its kind. Their method of measuring progressivity is light years ahead of everyone else, including the CBO and Brookings institution. Since they find that the burden of the corporate income tax falls on workers, the Ryan/Brady bill does something that may surprise many Republicans and Democrats: It replaces a tax on labor with a tax on wealth. Kotlikoff says the tax plan is almost as progressive as the current system. 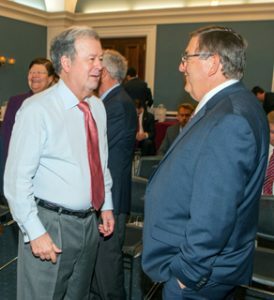 John Goodman with Representative Michael Burgess at the Capitol Hill briefing. There is no give away to the rich: the plan is “almost as fair” as the current system. There are no huge deficits: in fact, the plan gains revenue for the government. There is a boost in wages: about $4,000 in additional take-home pay every year for the average household. In rejecting the idea that the tax plan is a tax cut for the rich at the expense of the middle class, the economists compared the effects of the plan on lifetime consumption for people in their forties. The share realized by the bottom fifth of the income distribution barely moves — falling from 6.3% percent of the total for the group to 6.1%. At the other end of the spectrum, the share realized by the top 1% also barely moves — rising from 11.5% to 11.6%. The reformed distribution in between these two extremes looks pretty much as it does today. Without any change in policy, wages are predicted to fall in the decade ahead. With tax reform, low-skilled workers get a 6.1% wage boost in the near term, rising to a 9.7% boost by 2040. If the corporate income tax were abolished entirely, wages in 2040 would be 15.8% and 17.3% higher than they otherwise would have been, respectively. 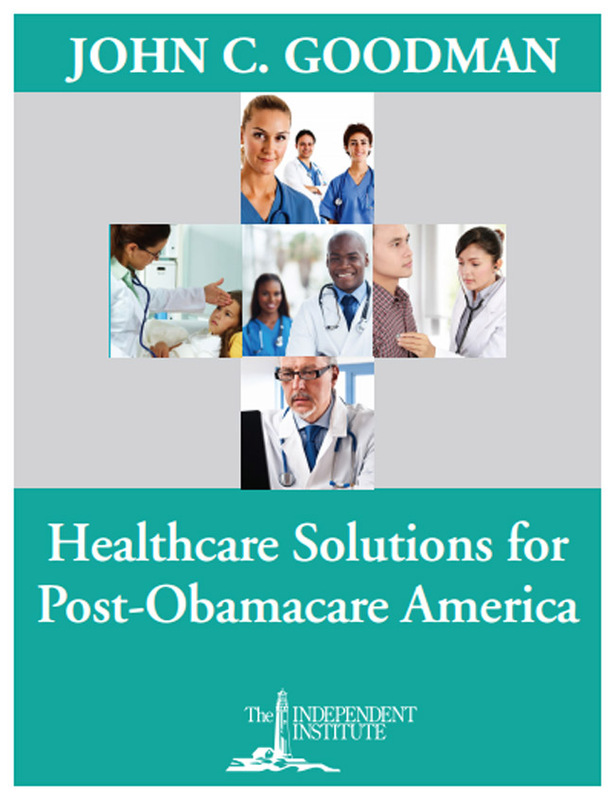 Before there was Obamacare, Colorado and over 30 other states operated insurance pools that guaranteed coverage to people with pre-existing conditions, according to Goodman Institute Senior Fellows Linda Gorman and Beverly Gossage. Risk pools were not perfect. But they worked much better than the individual market today. In a second Forbes post, Gorman writes that prior to Obamacare, premiums tended to be less than half of current ones, networks were large, and carriers offered such a variety of policies that there was something available to fit most family budgets. Senior Fellow Thomas Saving and former Sen. Phil Gramm write that the Federal Reserve System funded 55% of the Obama administration’s debt. That compares to the World War II era, when the Federal Reserve purchased only 10% of the government’s debt. Once a powerful recovery is under way, the Fed will have to begin unloading $3.4 trillion in Treasury bonds and mortgage-backed securities. This will crowd out private investment at a level never remotely approached in a postwar-era recovery. 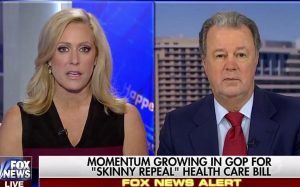 Goodman Institute board member Nan Hayworth appeared with John Goodman on Fox Business to discuss the House Health reform bill. 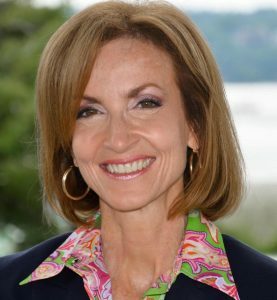 Former member of Congress and Goodman Institute board member Nan Hayworth joined with John Goodman to double team Fox Business on the eve of the passage of the House health reform bill. Both had the same message: Republicans need to reform the system and make it better. Repeal is not enough. 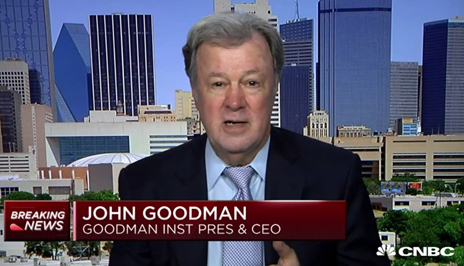 Goodman tells CNBC that Republicans need to focus on reform, not just repeal of Obamacare. How long will it be before a robot takes your job? And after that happens, who will be around to buy the goods and services the robots produce? Here’s a scary thought: the robot revolution may not make us better off. 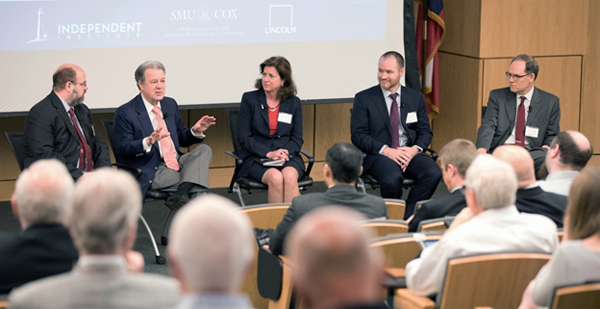 John Goodman appeared with George Gilder and other speakers at an Independent Institute conference at Southern Methodist University in Dallas on May 9. Goodman previewed his forthcoming book on the reform of social insurance – stressing win/win techniques of privatization that leave almost everyone better off. The remarks were an extension of his presentation to the Mont Pelerin Society in September. Goodman discusses the reform of social insurance at SMU. 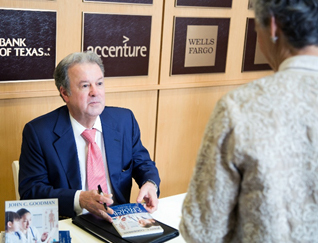 John Goodman signs a copy of his book, A Better Choice: Healthcare Solutions for America.